FactSet, a global provider of integrated financial information, analytical applications, and industry-leading services, announced today a strategic relationship with Eagle Alpha. Eagle Alpha enables asset managers to obtain alpha from alternative data. Through this relationship, FactSet and Eagle Alpha will help clients better understand the alternative data landscape and increase the utilization of unique, non-traditional datasets. FactSet’s seamlessly integrated content provides clients with global coverage, deep history, and unparalleled transparency. From quotes and news to fundamentals and estimates, clients can integrate this data with their own proprietary data. Now coupled with Eagle Alpha’s alternative data solutions and layered with FactSet’s flexible analytics platform, asset managers have access to a powerful solution that offers new opportunities to drive alpha. This entry was posted in News on 21st September 2017 by adminBosham98. Bosham Capital Advisors (BCA), Investment, Advisory and Capital Markets Specialists, has moved to new premises in central London whilst also expanding its team to work under Founding Managing Director Adrian Faure and Partner Edward Boddington. 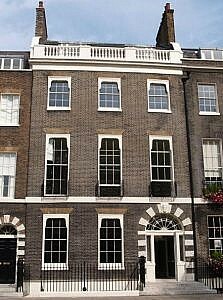 Situated on the northern terrace of Bedford Square and opposite Bedford Square Gardens, 25 Bedford Square is in the heart of Bloomsbury. The building, shared by a number of other financial boutique businesses was built in 1777 and has been meticulously refurbished to maintain its period features. This entry was posted in News on 5th July 2017 by adminBosham98. This entry was posted in News on 7th March 2017 by adminBosham98. Bosham Capital Advisors (BCA) has been working on behalf of British Country Inns (BCI) to find a buyer for their impressive portfolio of 16 traditional pubs. The first deal has just been completed with the sale of two pubs. The acquisition has been made by Liberation Group buying the two freehold pubs for an undisclosed sum. Both pubs are located in Somerset: the Lime Kiln Inn, Knole and Beambridge, Sampford Arundel. The BCI group consists of four companies originally financed via the EIS by Smith & Williamson. Chairman of the companies Martin Sherwood is Senior Partner of Enterprise Investment Partners (EIP), a specialist smallcap corporate finance boutique with particular focus on the tax-efficient market, which provides management and investor relations services to the companies. This entry was posted in News on 28th February 2017 by adminBosham98. Bosham Capital Advisors (BCA), Investment, Advisory and Capital Markets Specialists, has been appointed by Eagle Alpha to drive sales across the UK investment management industry for their alternative data solution, with a primary focus on asset managers and hedge funds. The alternative data industry has blossomed amid a dramatic increase in obtainable data over the past decade, taking in everything from mobile-phone data to consumer transaction data to job postings to traffic data. Furthermore a recent study by Greenwich Associates cited the fact that 80% of investors want greater access to alternative data sources. This entry was posted in News on 23rd February 2017 by adminBosham98. Diamonds are an Investors’ Best Friend…. Bosham Capital Advisors Ltd (BCA) – www.boshamcapitaladvisors.com - the FCA-regulated corporate finance and investment company based in London, is pleased to announce that it has raised £3.3m of equity financing for Diamond Manufacturers Ltd, trading as Vashi – www.vashi.com , via a private placement, which was also EIS eligible. Vashi is a highly profitable, multi-channel diamond retailer that has established itself in the market place as a purveyor of affordable luxury diamond jewellery. 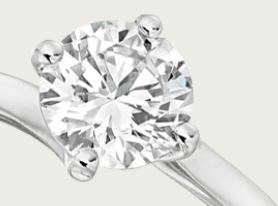 Vashi was established in 2007 by Vashi Dominguez who had previously founded a highly successful diamond wholesale business, before recognizing the market opportunity in retail. This entry was posted in News on 7th February 2017 by adminBosham98. 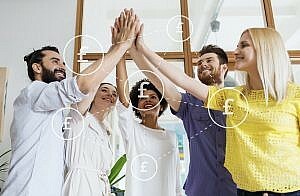 Bosham Capital Advisors (BCA), Investment, Advisory and Capital Markets Specialists, has been appointed by BankerBay to develop strategic positioning for an imminent sales drive in the UK for their technology-driven disruptive Investment Banking platform, primarily focused on Private Banks and Wealth Management companies. BankerBay is the world’s largest fully web-enabled global deal origination platform. 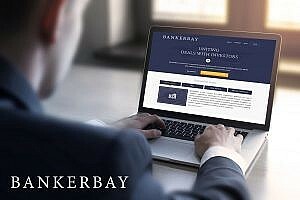 BankerBay uses a complex algorithmic approach, combined with manual curation carried out by experienced international Bankers to match middle-market corporates seeking capital with the most relevant providers of capital anywhere in the world. This entry was posted in News on 3rd February 2017 by adminBosham98.